New edition of Environmental Problems in Third World Cities Cities in Africa, Asia and Latin America contain some of the world's most life- and health-threatening human environments. Environment-related diseases and injuries cause millions of preventable deaths each year. In many squatter settlements, children are 40 to 50 times more likely to die before the age of five than they would be in Europe or North America and most such deaths are environment-related. Many cities also cause serious environmental degradation to their surroundings and increasingly contribute to global warming. 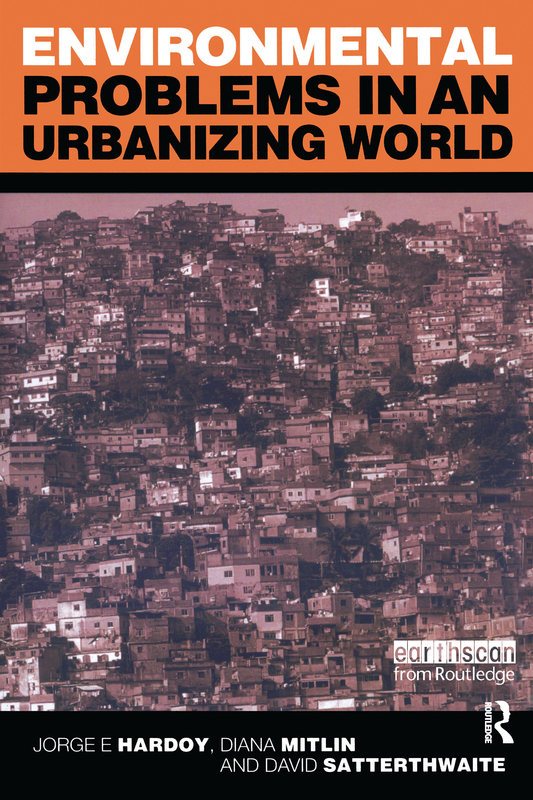 This updated and much expanded edition of the classic Environmental Problems in Third World Cities describes environmental problems and their effect on human health, local ecosystems and global cycles. It points to the political causes that underpin many of these problems - including ineffective, unaccountable governments, and aid agencies' reluctance to work with the urban poor. It also highlights innovative solutions such as: * High-quality, low-cost homes and neighbourhoods developed by urban poor groups working with local non-governmental organizations * Local Agenda 21s developed by municipal governments in partnership with community organizations. * In their analysis, the authors show that cities can meet sustainable development goals. There are practical, affordable solutions to their environmental problems, but most of these depend on more competent and accountable city governments and on more support for low-income households and their organizations. The book also outlines the changes needed international aid agencies to support this. PRAISE FOR THE FIRST EDITION 'It's rare to encounter a work as authoritative and accessible as this. It is a mine of useful information from cities in every corner of the Third World, which does not shy away from the immensity of the problems, but says as much about the solutions to them as about the problems themselves' Jonathon Porritt 'Well written and very accessible' The Geographical Journal 'Of value to students, teachers, practitioners, policy makers and aid agencies' Third World Planning Review 'A valuable resource for understanding the underlying problems�[this book offers] practical alternatives' Cities International. Jorge E Hardoy was Director of the Buenos Aires office of the International Institute for Environment and Development (IIED) until his death in 1993. Diana Mitlin is an economist and social development specialist working at IIED and the Institute for Development Policy and Management at the University of Manchester. David Satterthwaite is a senior fellow at IIED and also teaches at the Development Planning Unit of University College London and the London School or Economics.